After attending the Commercial and Technical Institute and the Academy of Fine Arts in Milan, Nedo (born Nedo Mion Ferrario) arrived in Venezuela in 1950, where he worked in advertising design and illustration. In 1959, he took over the artistic direction of a series of magazines that, under his guidance, became leading publications and models for graphic design in Venezuela. They included El Farol (1959-1972), Cal (1962-1967), Crónica de Caracas (1967), and Oriente (1966-1968). With Gerd Leufert and Larry June, Nedo formed a triad of contemporary graphic design pioneers in Venezuela. While working as a graphic designer, Nedo participated in art salons and national group exhibitions. Towards 1959, his paintings were influenced by Venezuelan petroglyphs. 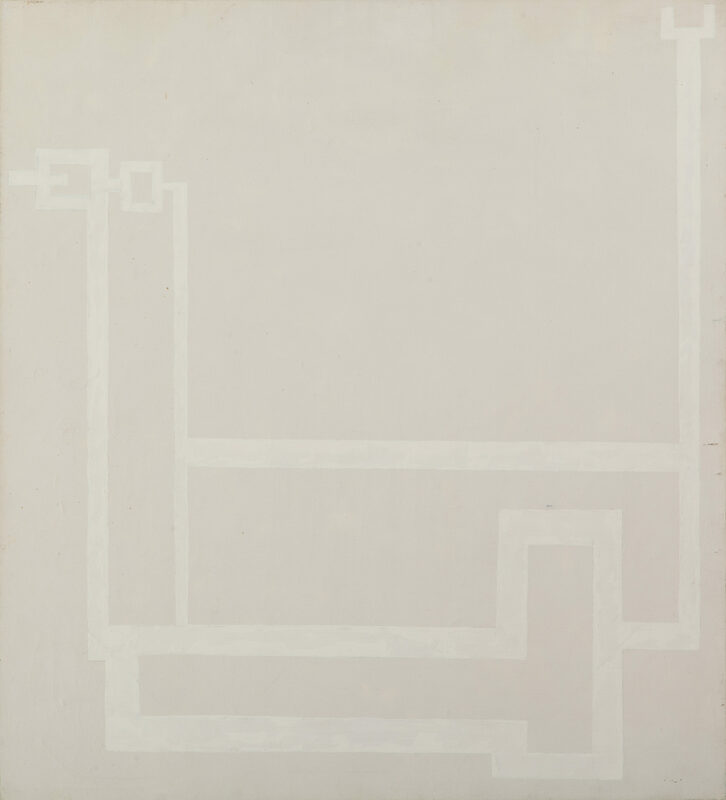 In 1962, he worked with lines over textured white background that resembled enigmatic writings on old parchments. Beginning in the mid 1960s, Nedo began what became recognized as his major works in visual arts. His series Dibujos imposibles, drawings that defied and distorted the laws of geometry and perspective, included Reversiones, works in ink and lithographs, and Alfabetos imposibles, which used typography and graphical design. These works were included in the publications Imposibilia (with Gerd Leufert, 1968) and Reversión: dibujos y litografías de Nedo (1971). In 1968, he presented his first Progresiones in the group exhibition Confrontación (Ateneo de Caracas) and again in a solo exhibition at Estudio Actual (Caracas, 1970). 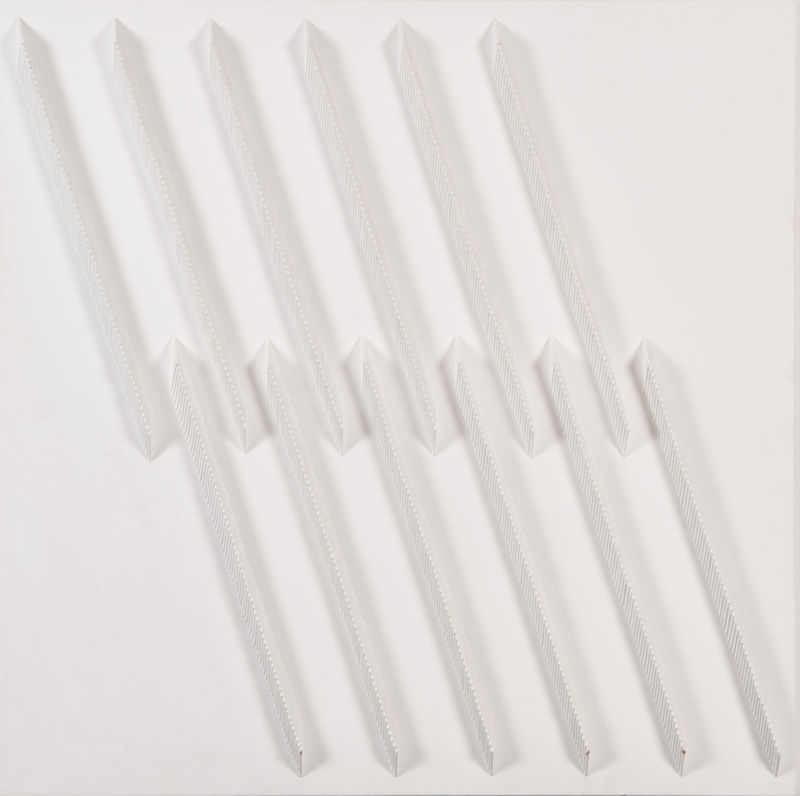 Made out of cardboard, wood, plaster and white paint, these works were reliefs of geometric modules that evolved into series characterized by dynamic and rhythmical successions of light and shade. 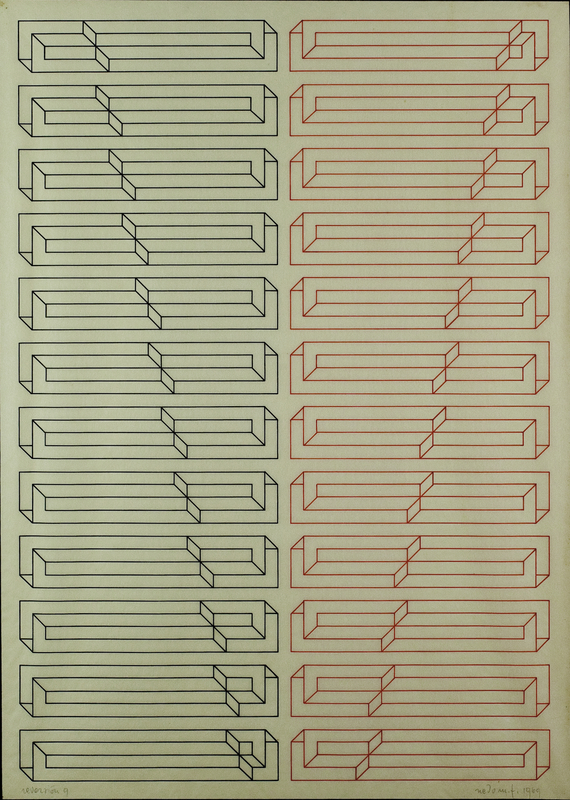 Around 1970, Nedo, using similar materials created the series Reversámbitos, exhibited at the Museo de Bellas Artes, Caracas (1973), the Museo de Arte Moderno Jesus Soto, Ciudad Bolivar (1974), and the Galería Pirámide, Caracas (1980). In the Reversámbitos, or “reversible scopes,” the modular reliefs progressed simultaneously in opposite directions, giving rise to virtual recursive spaces due to their disposition in opposing series dependant on the intervention of light. From the mid 1970s, Nedo undertook numerous architectural projects that included murals, floor designs, and gates for private residences and public spaces. Among these works was the mural for the Torre Las Mercedes (1976-1979), the floors for the buildings at Parque Cristal (1980-1983) and Parque Canaima (1988-1989), and the gate for the main office of the Banco del Caribe (1994), all in Caracas. In 1993, Nedo received the Premio Nacional de Artes Plásticas. His work has been featured in two important retrospective exhibitions: Nedo M.F. Una retrospectiva (Centro de Arte La Estancia, Caracas, 1998) and El Otro Nedo (Sala TAC and Sala Mendoza, Caracas, 2008).